I know that it’s not Monday (and every good start is a Monday, right? ), but I just couldn’t wait to share. With 92% of New Years resolutions a fail, I thought we could all use a little help. If you are wanting to take some great steps into this New Year, consider writing down your ONE goal. 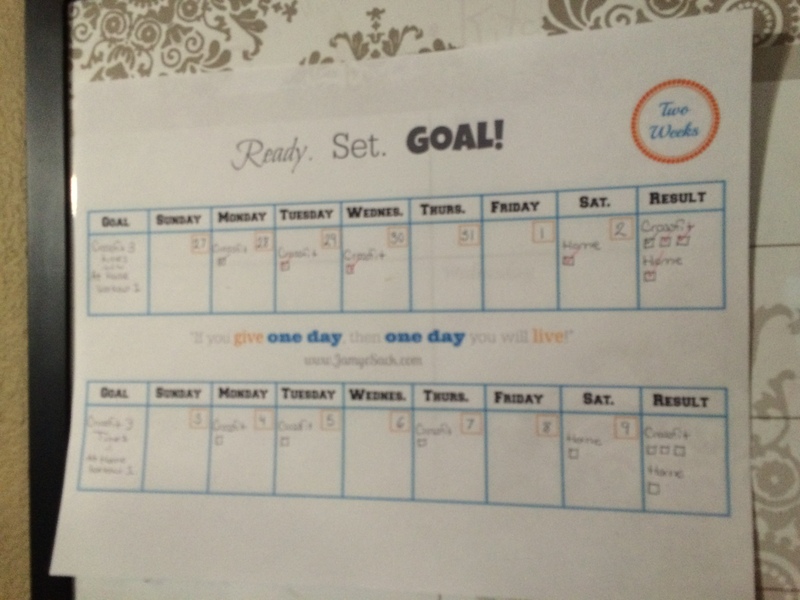 I have a FREE Two Week Goal Calendar that will help you write the goal and see your results. It’s called “Ready. Set. GOAL!” because honestly, what else would it be called? Isn’t that just the most hilarious and adorable name? This entire last month I used the same format when I started my time in the gym. It was a big shift in my schedule and lifestyle to get back into the gym. I wanted to make sure that I stuck with what I committed to. Therefore, I wrote it down. This is how I used it. Filled in the dates to match my month. Wrote how many times I wanted to do the goal in the GOAL part (e.g. pray for 5 minutes every morning, read 1 chapter in my Bible 5 days a week, walk 15 minutes a day for 7 days, drink 8 glasses of water 7 days a week… you get the point). Then placed that many number of check boxes in the “RESULTS” area. Wallah! Be grateful that you did one week, then two weeks! This is an example of one for Robert and his workout plan for the two weeks. 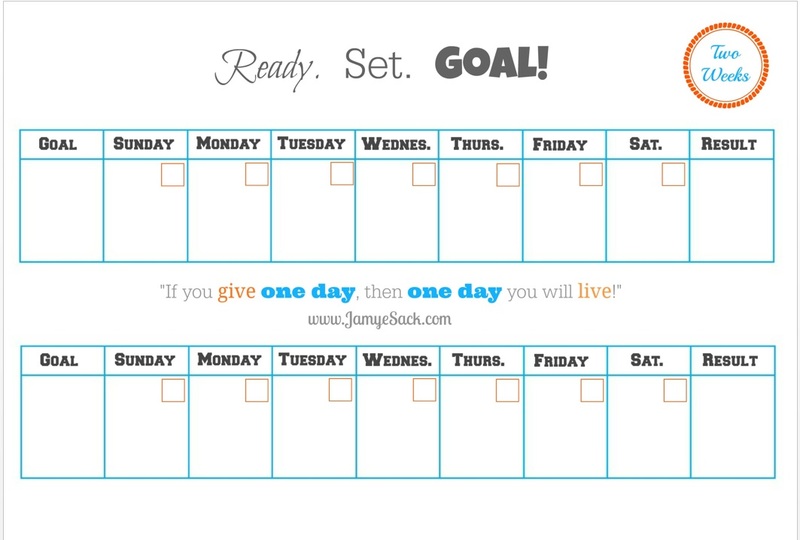 Enjoy this FREE Two Week Goal Calendar. Share the love, email this to a friend! I cannot wait for next group! I made a countdown patterned paper chain to help me remember! I tried to find my six-pack, I can't...so I'm hoping to find it in the group!! « [Promo Today 12/30] Register Here!